When three of the George Washington Bridge’s lanes in New York, New Jersey were closed down in 2013, traffic was almost at a complete standstill. That’s exactly what happens to your brain’s memory lanes when you don’t keep your brain’s nerve cell lanes open and healthy. Each of your senses – vision, hearing, smell, taste and touch have their own sections in your brain. When you use a sense you’re sending electrical activity along all the pathways or lanes to that sense’s home and that is what exercises those lanes…helping to keep them fit and flexible and usable. If you close some of those neuronal lanes you can really slow things up. And today in this fast moving world (unlike years ago) we mostly use only two senses – vision and hearing (you’re only using one of them at this moment unless you have something with audio in the background). So all the other lanes to your other three sense’s homes get closed down. 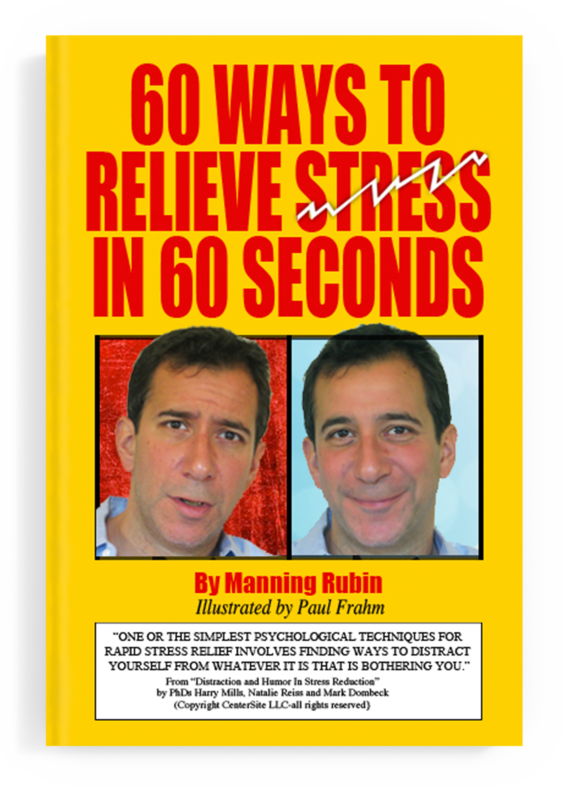 Well, happily, this Neurobic system is a simple, natural way to help keep those mental toll booths open so your neuronal lanes stay fit, flexible and ready for traffic. 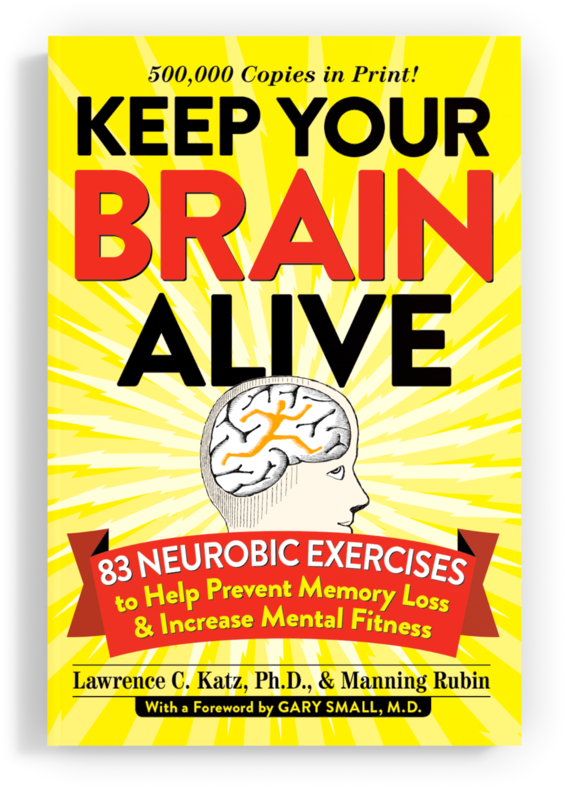 Based on worldwide neuroscience discoveries including Dr. Katz’s own breakthrough research at Duke University’s Department of Neuroscience, NEUROBICS, the new science of brain exercises uses simple, do it yourself, and fun, lifestyle activities that don’t require computers or DVDs or videos. Daily life is the NEUROBIC gym. Computer or video so-called brain exercises simply teach you do do a task faster using once again only your vision and sometimes your hearing senses. Same old, same old. All your other lanes are getting nothing just like in the Ft. Lee traffic jam last year. It’s simple but it works both to keep your brain’s pathways active and to actually help create brain food molecules in your brain called neurotrophins. We’re living and working longer than ever before and as we age we keep adding more and info into our brains. Many of you have learned to exercise your bodies to stay physically fit. But if you don’t do the same for your brains to keep mentally fit you’re losing out. NEUROBICS is to the brain as swimming is to the body - a way to keep all parts fit and flexible. Over 40? Getting forgetful? Having trouble learning new things, or remembering that actress’s name without reaching for your smartphone? Neurobics are simple, unique brain exercises that can be done anywhere, anytime. Check out 10 Ways on Buzzfeed. “Neurobics as developed by Dr.Lawrence C. Katz and Manning Rubin is based upon solid scientific evidence that novel activities and exercises using all your senses can enhance the production of neurotrophic growth factors that strengthen synapses and improve mental fitness including memory. All the senses (auditory, smell, touch, sight and taste) make connections to the brain. Therefore, using the senses directly exercises the brain."